Gerhard Arnulf Klouman is not a name you expect to find on the roll of the British Army, particularly during a war against Germany. But Gerhard was actually Norwegian, born in Christiana in 1898, the fourth child of Fredrik and Marie Klouman. Despite the other three children having been born in England, in Wallasey, the whole family retained their Norwegian citizenship. The only record I have found is the 1901 Census, which records the eldest child as Helen, born 1890, followed by Herming (possibly meant to be Henning) born a year later, and Frederick two years after that. Despite these three all being born in Wallasey there is no sign of anything in the 1891 Census. As Gerhard was born in Norway the mother, at least, must have gone back, but then returned to England in time for 1901. By 1911 they have disappeared again. When war was declared in 1914 Gerhard was apparently 16, officially too young. 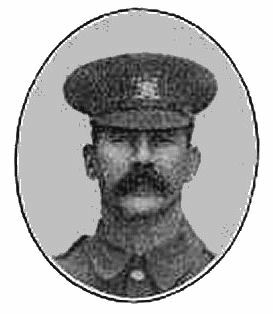 But his name appears on the list of applicants to join the Pals on 4th September 1914, when his address is given as 10 Robb Street, Birstall. He appears again on the full roll, where he has been posted to B Company, 7th Platoon. There is then no further record of him until his death. He would have followed the usual route for the Pals, training at Colsterdale, where he actually joined them, then Ripon and Fovant, before sailing to Egypt and the Suez Canal, where he landed on 22nd December 1915. This is shown on his Medal Index Card, as is the award of the 1914-15 Star for service overseas before the end of 1915. On 1st July 1916 Gerhard, now probably 18, and officially old enough to be in the Pals, if not actually over there, was one of the men who rose from their trenches to face the German machine guns, and one of the men who fell. His body was never recovered and he is remembered on the Thiepval Memorial. In addition to the Star he was also awarded subsequently the British War Medal and the Victory Medal. So Gerhard was a foreigner who spent most of his short life in this country, and eventually gave his life for it. Wilfred Ernest German was born on 28th August 1891, to George German, a cellarman in a public house, and Annie Eliza Walton, who had married in Holbeck in 1884. They had three children but only two survived, Wilfred and his older brother Arthur. George had been born in Burton-on-Trent, but what brought him to Leeds is not known. By 1901 he had become an electric tramcar driver for Leeds City Transport. The family lived at various addresses in the Hunslet/Holbeck area, Weldon Street in 1891, Mario Street in 1901, and Fairford Terrace in 1911, by which time Wilfred was working as a cloth cutter. When war broke out in 1914 Wilfred was almost 23, but as his service records are missing we cannot say precisely when he joined up. However, it was the Leeds Bantams he joined. As his army number does not have a ‘17’ prefix it is likely that he joined between September 1916 and December 1917, at which point the Bantams were amalgamated with the 15th Battalion, The Leeds Pals, and the prefix ‘17’ was discontinued. It is also likely that he was no more than 5ft 3ins tall. He did not, however, remain a bantam for long, as he was transferred to 1/5th Territorial Battalion of the West Yorkshire Regiment, and it was here he did most of his service. This battalion went to France in April 1915, but as Wilfred was not awarded the 1914-15 Star, for service overseas before the end of 1915, this also rules out an earlier enlistment. The only definite records of Wilfred are his POW ones. On 25th April 1918 he was captured at Kemmel, in Flanders. The British used Kemmel Hill as an observation point, and in that April the Germans captured it during their Kaiserschlacht, an attempt to win the war before the Americans arrived in strength. Wilfred was taken initially to Lager Eichstätt, and then moved, on 30th May, to Bayreuth Lager. There was no mention of any wound at this point, but a later register, dated 28/08/18, states that he was shot in the foot. There is also a family belief that he was gassed, which, given the extensive use of gas in this war, is quite possible, but as he lived to the age of 77, if it happened it is unlikely to have been too severe. Wilfred spent the remainder of the war until the armistice at Bayreuth, after which he was repatriated, and was certainly back in Britain by December of 1919, when he was discharged to the Reserve Class Z. He was subsequently awarded the British War Medal and the Victory Medal. On 2nd August 1922 Wilfred married Alice Maud Pridmore, at Salem Congregational Church, Leeds, and in 1939 they were recorded as living at Dawlish Avenue, Leeds. Wilfred was now working as a grocer, shopkeeper, and there are two closed records, suggesting two children. Wilfred died in Leeds in December 1968. Interestingly the surname ‘German’ may refer to the family originating in Germany, or an ancestor having connections with the country, perhaps through trade. Ancestry – Medal records, Census records, birth and marriage records. Arthur was born on 24th December 1893, an early Christmas present for his parents, Walter Atkinson Binns, a weaver, and Sarah Ann Jones, a grocer, who had been married in Keighley two years before. He was christened on 18th March 1894. The family were living at 8 Chapel Lane, Oakworth, Yorkshire although by 1901 they had moved to 4 Oldfield. Walter was born in Oakworth and Sarah Ann hailed from Monmouthshire in Wales, though her birthplace was listed as Gloucestershire in the 1911 Census. Between Arthur’s birth and the 1901 Census another three children had been born, Thomas, who also served in the war, Emmie Elizabeth and Clifford. By 1911 the family had another addition, Lily, and Walter was now employed as a waterworks labourer with Keighley Corporation. Arthur had reached 17 and was a student teacher, a profession he was to remain in all his working life, rising to be headmaster of his local school. 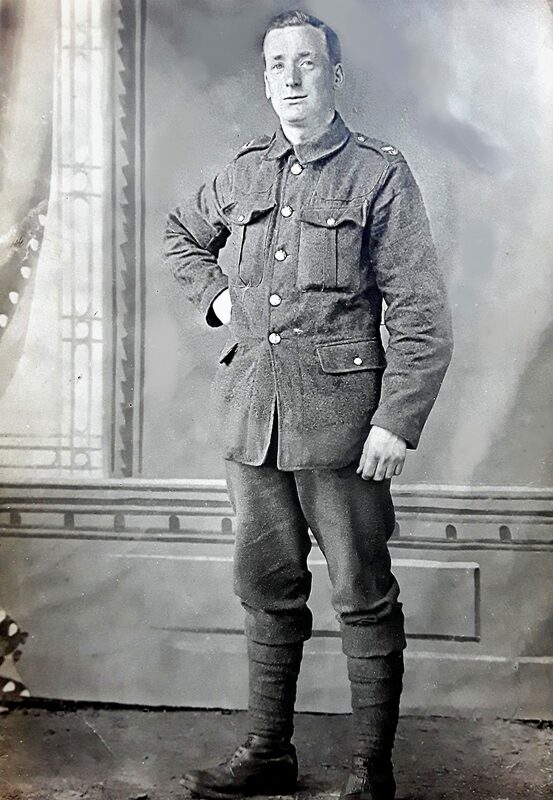 Before the war he was a teacher at Thurnscoe Council School in Barnsley, and it was the people of Thurnscoe who presented him with a pocket watch to acknowledge his bravery when he won the Military Medal. Arthur enlisted in the 15th Battalion, West Yorkshire Regiment (1st Leeds Pals) at Colsterdale, Yorkshire on 11th January 1915. After training at Breary Banks, Masham the battalion moved to Ripon and then to Fovant on Salisbury Plain, before deploying to Egypt in December 1915. Arthur was now a signaller in B Company, No.6 Platoon. They spent about two months there, guarding the Suez Canal against a possible Turkish attack, and then in March 1916 the Battalion transferred to France to prepare for the Battle of the Somme. No. 1137 PTE ARTHUR BINNS advanced with his platoon to attack the German position EAST of GAVRELLE. He gained the first objective where he established a bombing post. He repulsed a local counter attack, and drove the enemy down the trench with bombs. The enemy afterwards fired a rifle grenade into the post which PTE BINNS was holding. PTE BINNS picked it up and threw it over the parapet, where it exploded without doing any damage. PTE BINNS undoubtedly, by his coolness and courage, saved his comrades from being killed or wounded. This award was also listed, without details, in the London Gazette. Arthur remained with the 15th Battalion until it merged with the 17th Battalion (The Bantams) in December 1917, and this became the 15th/17th Battalion. But nothing lasts for ever, and in March of 1918 the Germans launched what was to be their last major offensive, their last attempt to win the war. This attack took the British very much by surprise. Everyone knew something was going to happen, but no-one knew when. The Pals were involved in battalion sports on 21st March when it began, and six days later Arthur was captured near St Leger, along with a large part of the battalion, only four officers and about forty men escaping the net. He was taken initially to Parchim POW Camp, where he was recorded on 6th August. He had not been wounded when captured so he may have gone straight to Parchim or been taken to another camp en route. He subsequently went to Camp No 1952 at Friedrichsfeld, Wesel. Following the Armistice he was released and returned to France on 26th November. He was treated as a priority having been a POW, and was repatriated to the UK in December 1918. 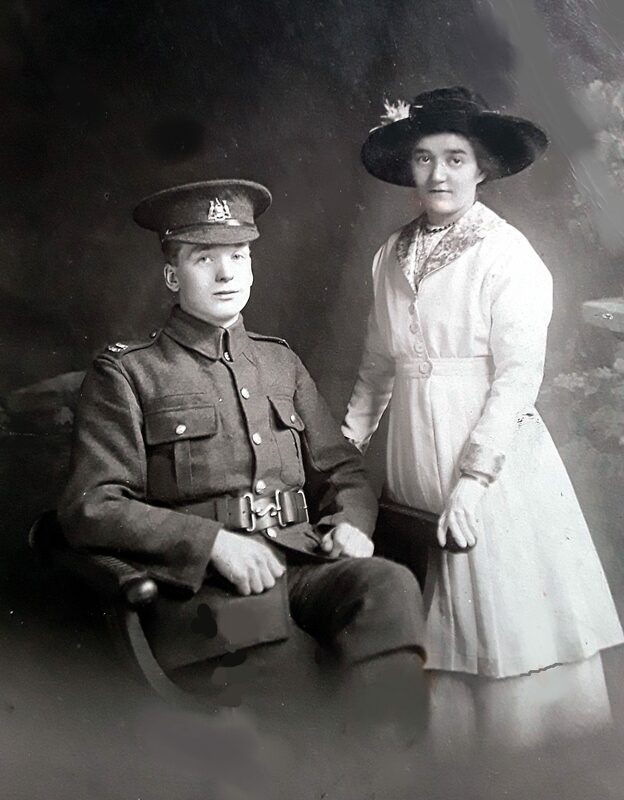 Two months later, on 25th February 1919, he married Alice Maud Annie Ingham in Keighley, the same day as he was posted to the Reserve Class Z. Fortunately the armistice held, the reserves were not required, and Arthur was finally discharged from the army on 31st March 1920. In addition to his MM he was awarded the 1914-15 Star, British War Medal and Victory Medal for his wartime service. In the next war he served as an air-raid warden and special constable. He returned to his profession of teaching, rising to become headmaster of Keighley Junior School, now Lees Primary School, and in 1955 a Keighley Town Councillor. 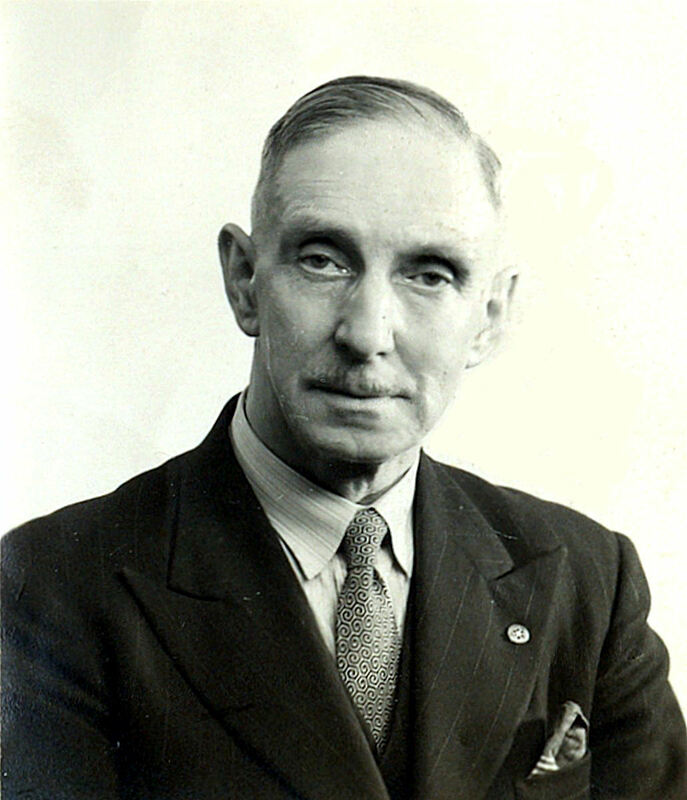 He was headmaster of Eastwood Secondary School in Keighley from the beginning of January 1939 until his retirement at the end of August 1954. After this he continued to teach adults at Keighley College, and also found time to be a Methodist lay-preacher in addition to all these other occupations. He and Alice had three children, Joyce, Harry and Gwenda, and the family appear, with Walter, on the 1939 Register, living at Burghley House, Exley Road, Keighley. Harry went on to serve in the RAF in the Second World War, and was awarded the Distinguished Flying Cross for his operations as a Halifax bomber pilot. Arthur died on 22nd February 1956, age 62, at which point he was living at 40 Leach Road, Riddlesden, Keighley. His funeral was held at Lees Methodist Chapel and was attended by the Mayor of Keighley and a large number of mourners from teaching and various local organisations. Alice survived him by 29 years, dying on 13th May 1985 at Keighley Blind Home. Richard Dales was born in Louth, Lincolnshire, on 28th November 1895, the fourth child and second son of Samuel Dales and Susannah Parrish, who had married in Louth in 1888. Richard was baptised on 6th August 1896, together with his older siblings Lillian, Maggie and Sidney. Four more children followed, Percy, Constance, Marion and Dorothy. There had been a ninth child, but it did not survive. Father Samuel’s occupation in 1891 was butcher, but by 1901 he had changed professions and was a cellarman. By 1911 he had risen to be brewer’s foreman. Richard did not follow either of these occupations, being listed in 1911 as a dentist’s assistant. For the whole of this period the family was living in Queen Street, Louth, and what brought Richard to Leeds we don’t know, possibly his job. Richard’s army records are missing, and all we have are the list of applicants for the Pals made towards the end of 1914, and the Roll, made around the middle of 1915. Richard was a very early volunteer, putting his name down on 4th September 1914 and being given the number 261. After his training he was posted to A Company, 2nd Platoon, where he became the bugler for No. 4 Section. He will have done his training at Colsterdale, then Ripon and Fovant, before sailing with the battalion in December 1915 for Egypt, to guard the Suez Canal. The Pals stayed there for two months, before sailing again, this time to France, to prepare for the Big Push, as the Battle of the Somme was initially known. Two things are known about Richard’s time in the Pals. One is that he was good at sports. 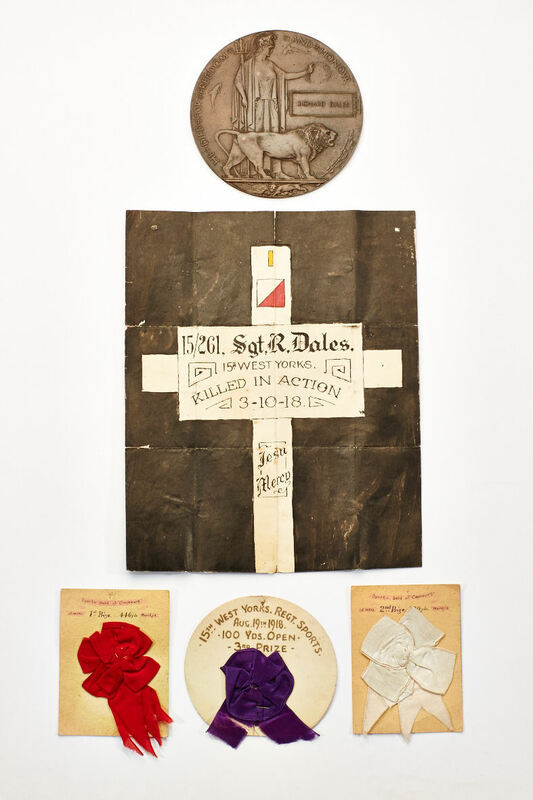 Three prize rosettes are preserved among his effects, which he had won for running in 1918, but he is also noted in the Battalion War Diaries as having won a First Prize in 1917 at the Horse Show. The other noted fact is that he was a good soldier, promoted to Lance Corporal by 1917, and recorded as such when admitted to No.3 Casualty Clearing Station with a gunshot wound on 9th January. On 3rd August 1918 he was awarded a wound stripe, presumably for another wound. He was a Corporal by this time and reached the rank of Sergeant before his death. Having joined up right at the start of the war Richard almost made it through to the end. In October of 1918 the Allies were advancing on all fronts, and it was only a matter of time before the war ended. The Germans were retreating before them but still fighting hard, and men were being killed right up to the last few minutes of the fighting. On the 3rd October Richard became one of those casualties, and was buried in Underhill Cemetery, Hainaut, Belgium. He was awarded the 1914-15 Star, the British War Medal and the Victory Medal. These were sent to his family, along with his Death Plaque. Robert Crossland was born on 2nd May 1889, and baptised two months later in the Wesleyan Methodist Chapel in New Wortley. He was the second child of James William Crossland and Elizabeth Ann Blackburn who had married in Bramley in 1884. Robert had an older brother William Isaac, and two younger sisters, Agnes and Jennie. There had been a fifth child who sadly had not survived. James worked for the Great Northern Railway as a plate-layer, inspecting and maintaining the track. He had previously been, in 1891, a stationery engine stoker. Neither of his sons followed him into this trade, William becoming a grocer’s assistant and Robert a cloth drawer, someone who fed and minded the tentering machine in which woollen cloth or felt was stretched while wet or steamed and then dried under tension, on tenter hooks. It appears Robert was also a keen cricketer, being a member of the Holbeck A Team, winners of the Leeds League in 1913. So when the war began Robert was 25, and he wasted no time in volunteering. He went first to Colsterdale, where the Pals did their initial training, but on Boxing Day 1914 he was home in Holbeck, for he married Clarice Amelia Swales in the Wesleyan Chapel there. He gave his occupation as Cloth Drawer and Private in the Leeds Pals, and his place of residence as Colsterdale. Clarice was a tailoress machinist. Following his initial training he was put into D Company, No.16 Platoon, and he is listed on the Roll as servant, to one of the company officers, but with no indication as to which one. His service records are missing but we can assume that he went next to Ripon, then to Fovant, and certainly sailed, with the rest of the battalion, to Egypt, there to guard the Suez Canal, from where he sent a postcard to William. Two months later they were on their way again, this time to France, to take part in the Big Push, the Battle of the Somme. Whether Robert was directly involved is not known, but if he was he clearly survived, unlike so many of his comrades. He also survived 1917 when the Pals once more came close to extinction at the Battle of Arras. He may, however, have been wounded at some stage. In March 1918 he was taken prisoner, and those records have survived. One of them mentioned a gunshot wound, to his shoulder and face, but as the initial report on his capture says he was not wounded that suggests an earlier encounter. On 21st March 1918 the Germans launched the Kaiserschlacht, their final attempt to win the war before the Americans arrived in force. At the time the Pals were involved in battalion sports, and doing well as usual. But everything came to an abrupt end and they were hurried into the line, in time to be overrun on 27th March. Finally only four officers and about forty men escaped, Sergeant Mountain winning the Victoria Cross in the process, but Robert was not so lucky. He was captured at Ervillers, where the Pals had made their stand. What happened to him initially is not clear, but by the beginning of August he had arrived at Parchim POW Camp. At the end of August he was moved to Meschede Camp. He may also have gone to Friedrichsfeld Camp, but the dates are not clear. Certainly he was in the hospital at Meschede on 18th November 1918, because that was when he died, of pneumonia, just one week after the armistice. He may have been one of the victims of the Spanish Flu epidemic that was sweeping the world, and which eventually claimed more victims than the war itself. He was buried in the Niederzwehren Cemetery, Kassel, which had been established by the Germans for POWs who died while in captivity. 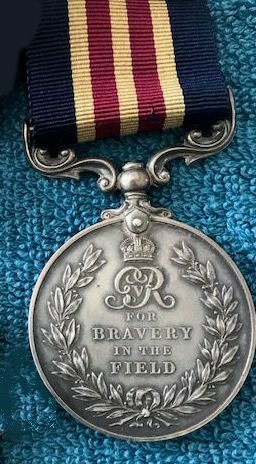 Robert was subsequently awarded the 1914-15 Star, for his service in Egypt, the British War Medal and the Victory Medal, but these would have been sent to his widow, who would also have received his death plaque, the ‘Dead Man’s Penny’. It is possible that his brother William also joined up, not in the Pals, but I have so far found no confirmation of this. Researcher: Peter Taylor, with additional information and photos from the family. In the British Jewry Book of Honour is an entry for H Zalk, Lance Corporal 267224, 15/17th Battalion, WYR. There is also an entry for Harry Solk, Corporal 5080, 2/7th Battalion WYR. 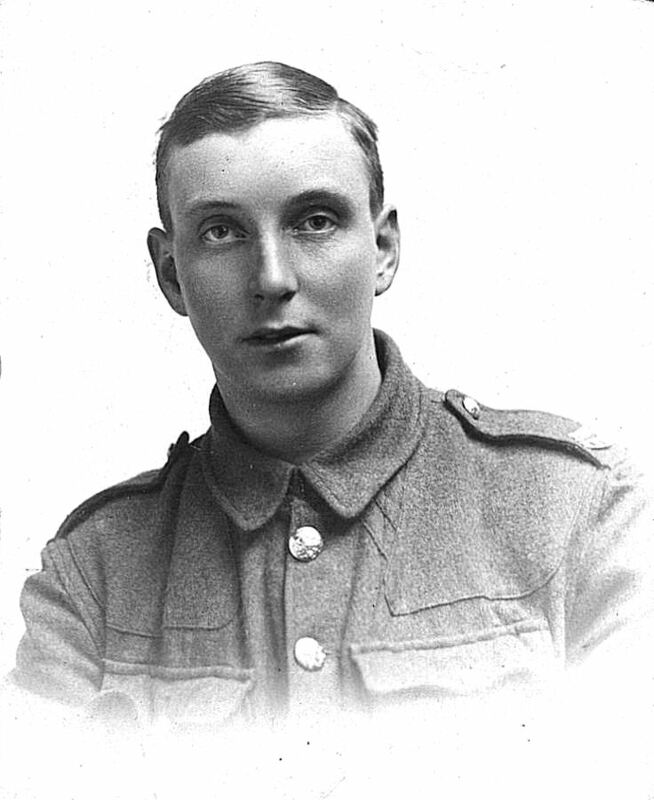 The Medal Roll shows him as Harry Solk, but also shows that he was first in the Pals, and later in the Leeds Rifles. Solk is by far the more common spelling, but whether it is correct is another matter. As Zalk he is the only entry for ‘Z’ on our list. Harry would appear to be short for Harris, but mainly it is as Harry that he appears. Harry was born on 22nd May 1895, but where and to whom I have not discovered. I have not found him on any of the censuses, so it is possible that he was a recent arrival in this country. He appears on the Absent Voters’ List as living at 6 Friendly Terrace, and later at 29 Grafton Street, always alone, until 1929, when he is joined by Sarah Solk, but with no indication as to who she is. In 1930 a marriage was recorded between a Harry Solk and a Lily Gill, but whether our Harry we don’t know. On the 1939 Register he is listed as a tailor’s machiner living at 9 Beamsley Terrace, together with Gladys George, later to be Gladys Solk after a marriage in 1941, and Annie E Brook, an old lady of 71. Harry definitely survived the war, and was posted to the Reserve on 18th March 1919. He was awarded the British War Medal and the Victory Medal. Such is our knowledge of Harry Solk, or Zalk. If you can add to it, please let us know. John Yeadon was born about 1890 and probably volunteered around the end of 1914. He was not only the first of the ‘Y’s, but also the last of the names to be entered on the list in strict alphabetical order. After him came Private Eddison. Private Yeadon went with the battalion to Colsterdale to do his initial training, followed by Ripon, then Fovant, and finally they all sailed for Egypt in December 1915, there to guard the Suez Canal. John was in B Company, No.7 Platoon, where he was platoon bomber. Egypt was largely uneventful, and after two months they sailed again, this time for France. They were to train for the Big Push, but John didn’t quite make that. By early June he was in the 2nd General Hospital at Le Havre with an infection of the middle ear. That does not sound overly serious, but in his case it was. After five days John was moved to Cinder City, a camp at Le Havre, so called because it was built on what had been marshland, but had been reclaimed by covering it with cinders, or embers, from other camp fires. It was a convalescent camp, for men who had done their bit but were not considered fit enough to return to their units. It was not unusual for men to go from here to other units, and it may have been at this time that John was transferred to the RAMC. As a private in the RAMC he was given a new number, 140171, and ultimately a promotion, to corporal. Where he served in this capacity is not known, but by the end of March 1918 he was back in hospital as a patient, this time in the No.4 Stationary Hospital at Arques, a victim of the influenza epidemic sweeping the world, which ultimately claimed more victims than the war itself. Fortunately John survived, to be discharged and posted to the Reserve on 26th March 1919. He was awarded the 1914-15 Star, the British War Medal and the Victory Medal. And that is the sum total of our knowledge of John Yeadon. If anyone can add to it I should very much like to hear from them. Harold Walch, the first of the ‘W’s, was born in Bramley on 12th April 1889, one of the six children born to John Staniforth Walch and Sarah Jane Farne, who had married in Middlesbrough in June 1880. Harold had three older sisters, Eliza, Clara and Helena, and a younger brother Ernest. Another child had died, and Clara was also to die in 1900. Harold in fact outlived all his siblings apart from Helena, and also his wife, but that comes later. When Harold left school he went to work at a tar distillery, probably the one at which his father was manager, and by 1911 he was a foreman. When he enlisted he gave his occupation as ‘engineer’, but elsewhere as ‘chemist’. Given what happened later it is possible that he worked for the firm of Messrs. Tunstall & Co., Newlay Chemical Works, but I have found no definite evidence of this. In 1914 when war broke out Harold was 25 years old, 5ft 11ins tall, with light brown hair and green eyes. He put in his application on 4th September, and nine days later formally joined the Pals, signing up at the Town Hall, after a satisfactory medical. 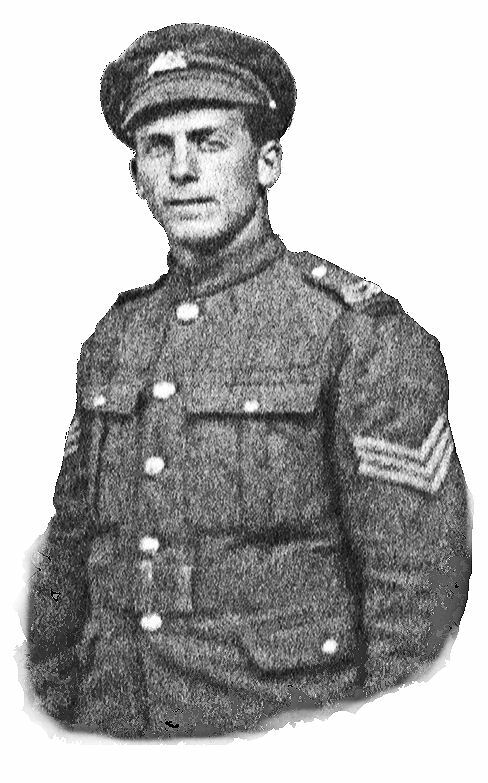 Like the rest of the battalion he went off to Colsterdale to begin his training, where he seems to have done well enough to earn a first stripe and become an, unpaid, lance corporal. Unfortunately he blotted his copybook soon after, by ‘creating a disturbance in his hut after tattoo’, and lost it again. Thereafter he appears to have remained a private, but as we shall see, he had little further opportunity for promotion. He was put into the Transport Section as a driver, driving water-cart No.2. 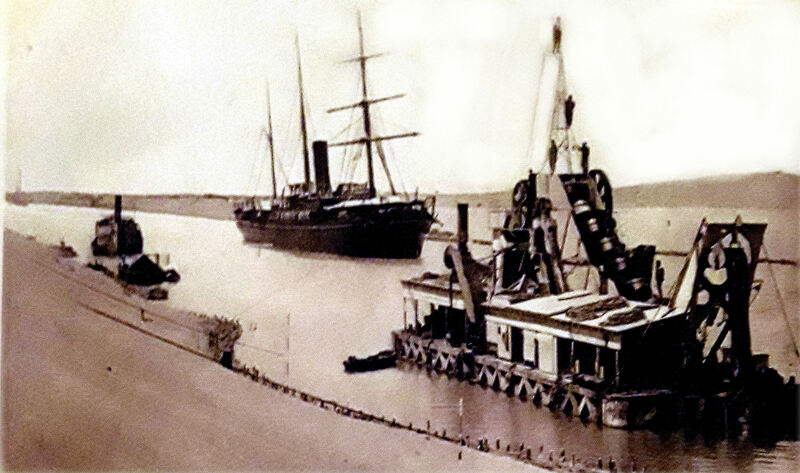 In late December the Pals sailed for Egypt, to guard the Suez Canal, staying there for two months. Then they sailed for France to prepare for the Big Push, but this time Harold did not go with them. On 7th February 1916 he sailed for England, on a temporary release to do munitions work at the above mentioned Tunstall’s, and stayed there for the rest of the war. During this period, on 28th June 1916, at St Peter’s, Bramley, he married Beatrice Annie Jones. Whether he had worked at Tunstall’s before, whether they requested him, is not clear, but he was certainly lucky. Had he stayed with the battalion he could easily have been killed or at least seriously wounded, on the Somme in 1916, at Arras in 1917, or in the Kaiserschlacht in 1918. As it was he survived and was able to return to his wife permanently after being discharged from the army on 10th January 1919. He was subsequently awarded the 1914-15 Star, the British War Medal and the Victory Medal. He appears with Beatrice on the 1939 Register, as a sheet metal worker, living at 199 Belle Vue Road, Woodhouse. He died and was buried in Shipley on 5th November 1962. Walker Vince – an old soldier, and the oldest to die? Walker William Vince, the first of the ‘V’s, was born at the end of December 1861, and baptised on the 29th in St James’s Church, Manston. He was the fourth child of George Vince, a coal pit labourer, and Jane Walker, who had married in Tadcaster in March 1852. It was a large family, Walker being preceded by Mary, Thomas and Jesse, and followed by George, Leonard, Frederick, Vincent, Harry and Elizabeth. On the 1881 Census Walker is shown as a railway clerk, and in fact he worked for the North Eastern Railway for 37 years. He was also a volunteer soldier, having joined the Leeds Rifles and reached the rank of colour-sergeant. In 1885 Walker married Mary Elizabeth Hodgson in Leeds, and started a family of his own, though not quite as large. His first child, Eva Mary, was born in 1886, followed by Jane Annie in 1888, and George Walker in 1893. His period of service with the Rifles came to an end, though the records are missing so we don’t know the exact details. He must have been looking forward to settling down and raising his family. But then the war intervened. In 1914 Walker was nearly 53, though there are some discrepancies about his age. The official age range for volunteers was 18 to 40, but in the heady days of 1914 this was often ignored, particularly when the volunteer had previous military experience, something the new battalions were desperately short of. Anyone with even minimum experience could be given a stripe, so it is not surprising that Walker ended up as CSM of D Company. What is surprising is that, having done his bit in training the new recruits at Colsterdale and beyond, he was then ordered abroad with them. Thomas Connors, to give just one example, who was a decade younger, was left in England when the battalion sailed for Egypt. Walker was not. Nor was he missing when the Pals went over the top on the first day of the Somme. But this time he did not survive. At first he was posted missing, and the North Eastern Railway Magazine published in November of that year had him as wounded and missing. But his body was never found, and he was eventually commemorated on the Thiepval Memorial. He is also named on the memorial at St Agnes’, Burmantofts, and on the Leeds Rifles Memorial in the Leeds Minster. He was awarded the 1914-15 Star, the British War Medal and the Victory Medal. He was possibly the oldest Leeds soldier to die in the war. In April of the following year his daughter Eva was married in St Agnes’ Church, and given away by her brother George, himself a sergeant in the ASC. There are just five names beginning with ‘U’ on the list of Pals, fewer even than with ‘Q’, and the first of these is that of Joseph Smith Umpleby, a late entrant but, nevertheless, the first of the ‘U’s. Joseph was born on 26th October 1895, the third son of Joseph Christopher Umpleby and Mary Elizabeth Claughton, who had married in Leeds in September 1882. He had two older brothers, Vernon and John, 10 and 9 respectively when he was born. There had been two other children who did not survive, possibly born in the long gap between John and Joseph. Joseph senior was a plumber and gasfitter, and this was the occupation his son gave when volunteering, although on leaving school he initially went into the printing trade. Joseph senior had been born in Holbeck, and this was the area the family lived in all their lives. Joseph junior joined the Pals from the family home at 9 Charmouth Terrace, off Beeston Road, and his later addresses are in Bewerley Road and Roxburgh Road. When the war started Joseph was almost 19, but he did not volunteer straight away, not enlisting until June 1915, so he does not appear on either the original List of Applicants or the Full Roll made up around that time. There is an H Umpleby on the List, living in Blenheim Square, whether a relative I don’t know, but he does not appear to have gone on to join. When Joseph joined, the Pals were nearing the end of their training at Colsterdale, and by the end of the year they were in Egypt. But Joseph was not with them. His training was clearly not far enough advanced, so he joined them when they reached France. In early June of 1916 he was severely wounded by a bullet in his left arm and thigh, and was sent back to hospital in England for treatment, at which point he was transferred to the Depot battalion. He returned to France in January 1917, but it was soon clear that he was not sufficiently recovered to cope with front line service. He was categorised as B2, which meant he was capable of walking up to five miles, and could see and hear sufficiently for ordinary purposes. Two months later he was transferred again, to the ASC, where he was given a new number, T-312693, and put in the transport section. There he stayed for the rest of the war. According to his records he returned to England on 30th January 1919, but on the 11th January he is on record as having married May Lee in Leeds. There are other instances where the dates on his records do not tally, and on the Electoral registers for 1920 – 1924 he alone is shown at Bewerley Road. May does not appear until 1925. After the end of the war Joseph was awarded the British War Medal and the Victory Medal. He may well also have applied for a pension in view of his wounding, but I have not located the records of that. In 1939 he was living with May at 38 Roxburgh Road, and he had now become a shopkeeper, running an Off Licence. The Register also shows a closed record, which may be a child. Joseph died in Leeds in June 1957, at the age of 61. It looks as though both Joseph’s brothers joined the services, Vernon initially in the navy before transferring to the RAF, and John in the army, in a training reserve battalion, but then going out to India. Both appear to have survived and gone home to their wives.